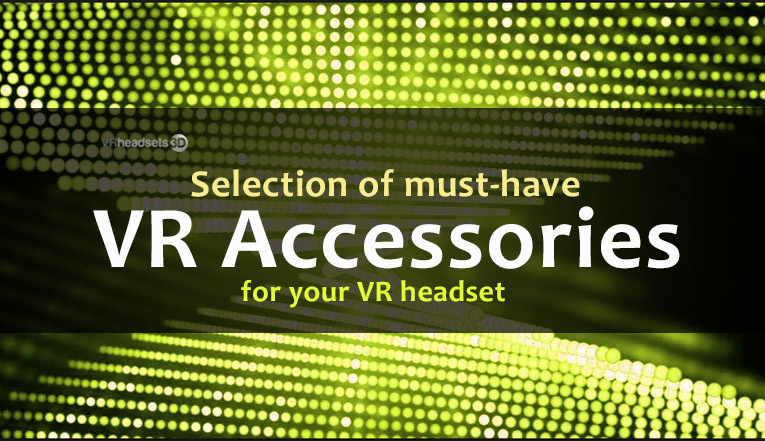 Selection of must-have VR accessories for your Virtual Reality headset, whether you use an Oculus Rift, Samsung Gear VR, HTC Vive or PlayStation VR. 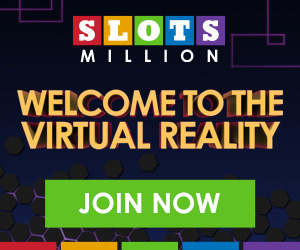 Although Oculus Rift by itself offers an amazing experience; you should consider getting some additional accessories and attachments that may provide more joy in virtual world. 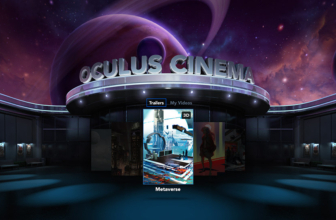 Those devices are useful when it comes to achieving more immersion, and maintaining Oculus Rift headset. Oculus Touch control is probably the most important accessory you need. The accessory is half moon shaped and has three buttons for each of the hands to allow for easy triggering with your forefinger. However, you will be expected to purchase a second sensor in order for the accessory to work. The manufacturer has included a strap that ensures that the controller is easily kept in the right place. They use AA batteries for adequate power supply. This means that you will not experience any issues to do with power shortages once you decide to buy the device. Subpac M2 is a wearable physical sound technology that converts sound into high fidelity vibrations you can feel. Although the unit will not enable you to get the best immerse audio experience, the feedback technology will impress you. In addition, it has a Bluetooth support that allows for easy streaming of music. The battery provided lasts for hours. This cover is useful when it comes to sweat and dirtiness that can affect the headset when wearing it for too long. This cover is a kind of a sweatband that is comfortable and is easily washed. When you buy it, you actually get 3 covers so you can change it fast. The cover is available in white, red and grey color. 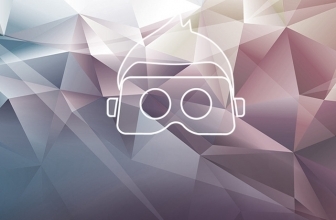 Cover is created to be used with DK1 and DK2 versions of Oculus Rift as well as Gear VR. You can easily attach it to device and you don’t have to worry that it will fall off. Since keyboards are not good input devices that can be used with VR headsets, an accessory named Leap Motion can be very helpful. 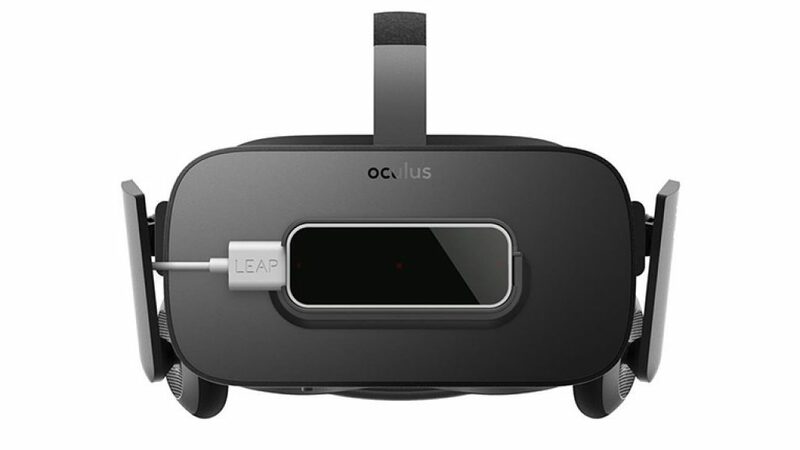 The Leap Motion is attached to the front of the Rift and it is used to track your hands and fingers when using Oculus Rift. Captured with this accessory hands are shown on the display during the game. At this moment very few games have support for the hand-tracking devices but a Leap Motion store was created and we can hope for more apps and games with that kind of support. This is Oculus Rift’s the most expensive accessory for now and the most popular one is Virtuix Omni. It costs around $700 and you might have to pay for the shipping the additional 100-350 dollars. Using this device will help you to get an unbelievable immersion since you will be able to move freely around without worrying that you will fall or hit into something. When you use this accessory the circular moving belt holds you into position and you have to wear special boots for sliding on the Virtuix ground. 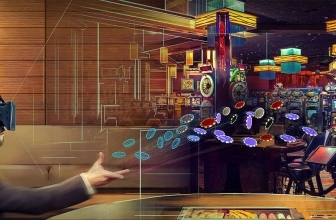 The Omni lets you to stand up and go around virtual world naturally using your feet. The Samsung Gear VR is one of affordable options for anyone looking to explore virtual reality. The following is a list of accessories you need to enhance your VR experience. Steel Series Stratus XL is an ergonomically designed gamepad that is bound to improve your VR gaming experience. The buttons are placed just apart enough to prevent mis-presses. The gamepad is more of a hybrid of the Xbox controller and Sony’s DualShock with the sticks magnetically centered. The Bluetooth controller is compatible with both Windows 10 and Android devices. Stratus XL batteries can deliver up to 40 hours of play time. The best thing about SteelSeries Stratus XL is that you can customize them to your liking. 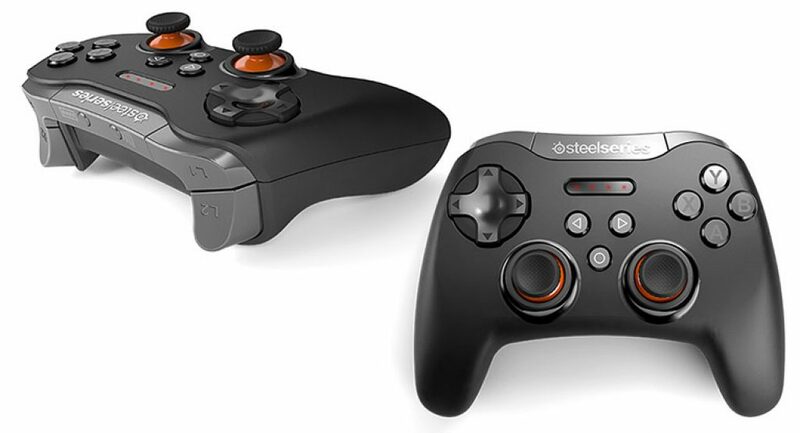 With SteelSeries Engine 3 app on your device you can adjust analog sensitivity and other features. The VR audio experience is not complete without high quality head phone like Bose QuietComfort 25. The gap under the headband is reduced in these headphones to ensure they sit closer to the head. They are equipped with noise-cancellation capabilities, drowning all the noise around you. Their folding design with dual cast-zinc hinge makes them easier to carry. Weighing only 196 grams, Bose QueitComfort head phones are not only light but also durable and comfortable to use. They are powered by a single AAA that delivers up to 35 hours of playtime. 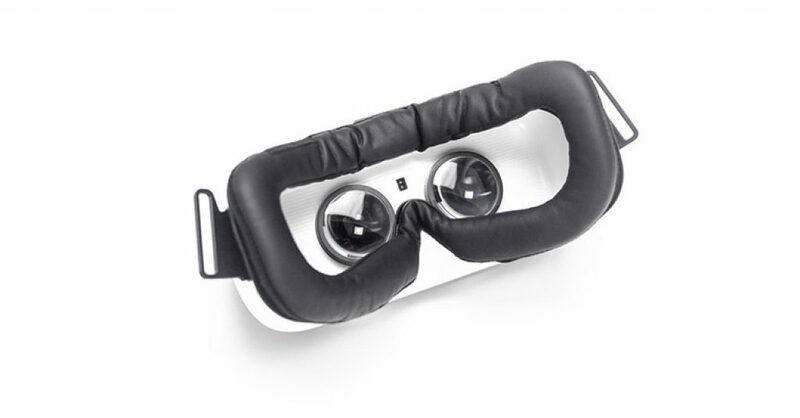 The waterproof cover protects your Gear VR foam from getting oily and dirty. Since the cover is made of nylon fabric it is easy to clean and also dries up fast. Actually, the cover fits so perfectly that you don’t need to it off when travelling. Your Samsung Gear VR can look messy when the lenses are smudged or dusty which makes microfiber cleaning cloths necessary. This will help you clean your gear ensuring there are always in pristine condition. Finally, you need a hard travel storage carrying case to offer your Gear VR adequate protection. A new improved and sleek design of the controller is expected to be on the shelves very soon. The biggest improvement to the device is allowing you to open and close hands to pick and drop objects in the game. The controllers ignores different finger movements and functions as a single unit. 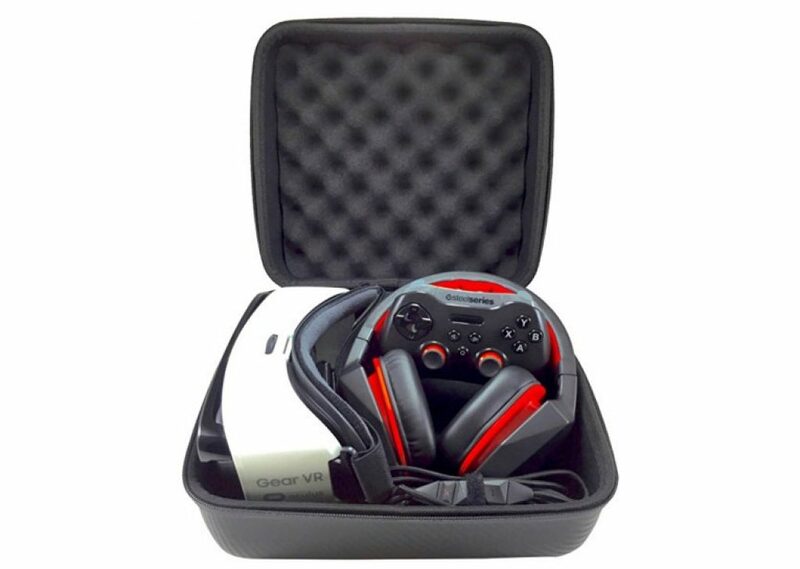 Fitted with Velcro straps, the controllers gain your confidence from the fear of slipping the devices. Gives you more immersive experience than the previous version as you use your hands naturally. 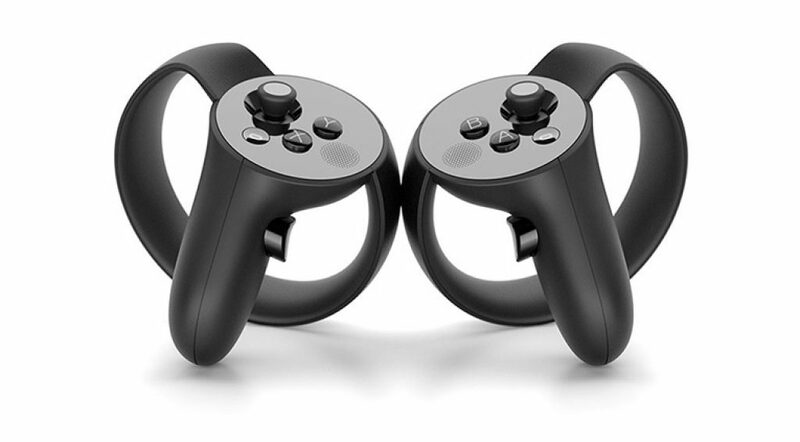 HTC’s rival Oculus’ is coming up with Touch which is said to have similar features of Vive controllers. Announced by HTC at the CES 2017 Conference, the Vive Tracker is a real game changer. 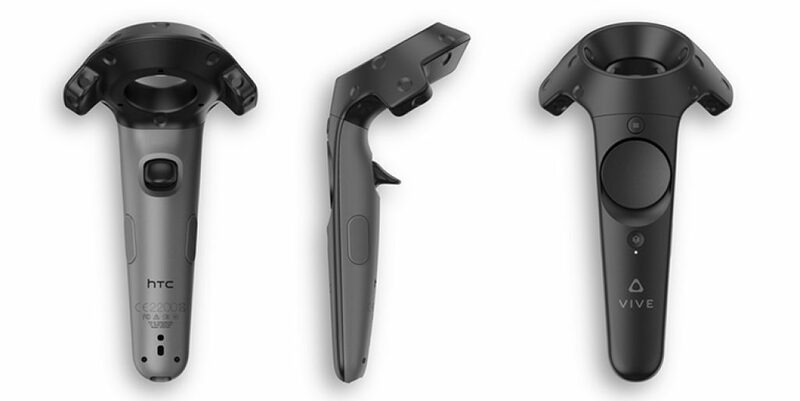 Vive Tracker has the same level of tracking as the controllers, but with one additional plus. It can be attached to objects like baseball or golf clubs or to any physical entity to provide you even more realistic game plays. 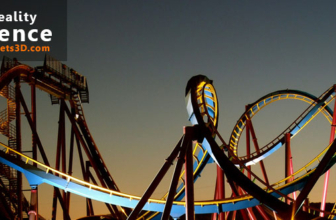 It isn’t a reality for now but will soon be adaptable to such objects. However the tracker can be attached to traditional VR objects like guns when combined with USB gaming peripherals. Developers were crazy exploring the possibilities of the Vive Tracker. There was even a demo showing the capability of attaching a fire hose to the tracker which could help firefighters practice maintaining the accuracy. Can be used for 6 hours which is more than that of a Vive controller. The Vive tracker is soon going to be definitive in your VR accessories list. HTC thrilled its visitors with yet another announcement at the event, The Vive Deluxe Audio Strap. 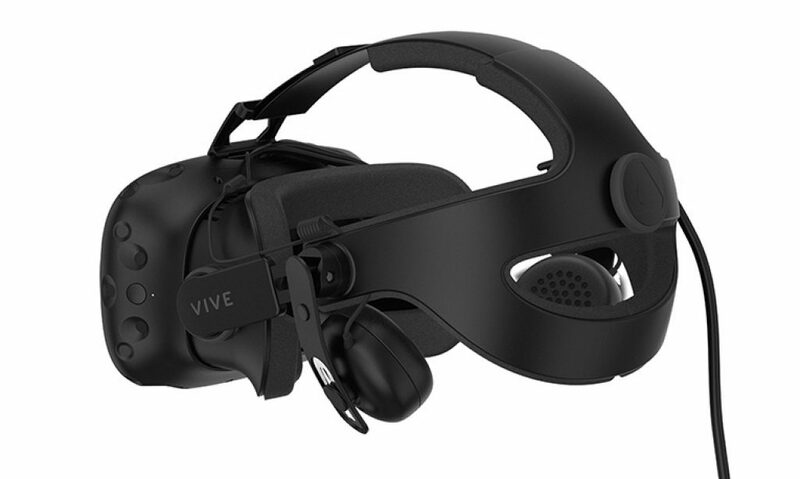 HTC suggests to use the Vive Deluxe Audio Strap along with Vive HMD. 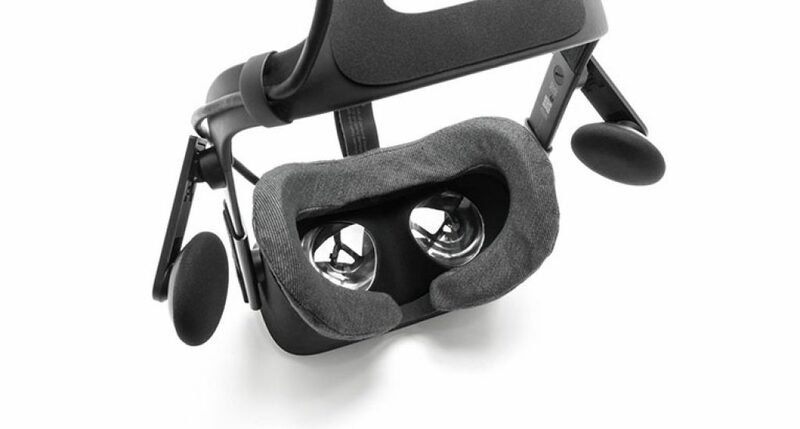 As per the look and feel, reviewers say it is one step ahead of the Oculus Rift which has a similar headset with built in audio headphones. Ergonomically designed and well-built, with a new cable management for better game play, the Vive Deluxe Audio Strap never fails to impress you. The device neatly fits on your head with well cushioned pads for enhanced sound quality. As for a prototype, the device may slight wary from what is being seen in the event. Price may be a deciding factor as HTC accessories seem to be a little on the higher side when compared with Oculus. 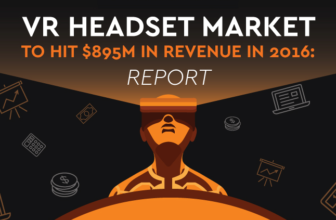 The headset will be hitting the stores in the second Quarter of 2017.